Take the Linux Power User Bundle courses and go from Linux Command Line novice to ninja with 22+ hours of elite professional training. The success of any site or app begins and ends with the site itself not going down. This step-by-step guide will teach you to eliminate potential points of failure, and guarantee the site is prepared for scaling and giant surges in traffic. Learn to ensure service availability for Linux, Apache, MySQL, and PHP based web applications. Plus, with this solution, you can repair failures on your own time and not in the middle of the night. If you’ve fostered an interest in Linux, but have been intimidated by the transition, this is the course for you. The instructor introduces you to Linux equivalents of your favorite Windows programs and apps, so your transition is as smooth as can be. You don’t even need Linux to complete the course. The instructor will teach you to set up a virtual software, so you get the full experience without full commitment. 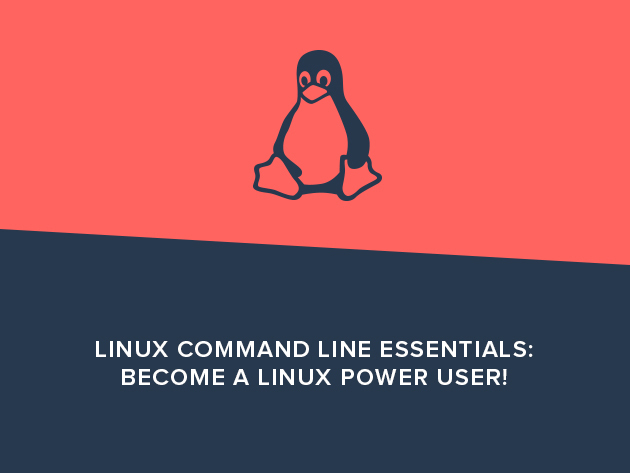 – Linux Command Line Essentials: Become a Linux Power User! This course was created to answer one essential question: what’s the most important Linux skill to gain? The Linux Command Line is the key to navigating Linux with ease, and this course will help you master the command line in under and hour’s time. Sold for $693, the Linux Power User Bundle is available for only $19 for a limited time. This deal isn’t coming back any soon so grab it while you can and build up some new skills.